A war between Israel and Iran is not something that may or may not occur in the future. It is in progress now. Understand, the dominant factor that motivates these events in Gaza is not the Palestinian issue. The dominant factor that motivates these events in Gaza is Iran. Where do the missiles come from? From Iran. Where does the money come from? From Iran. Who trains the terrorists? Iran. Who builds the infrastructure? Iran. I have said this many times: who gives the orders? Iran. Gaza is a forward operating base for Iran. I heard some people say that a third- or fourth-rate terrorist organization is acting against a million citizens in the State of Israel. That is not true. Iran is operating against us. I hope that if not all, at least most members here and the public understand that the terrorist organizations in Gaza – Hamas and Jihad, as well as Hezbollah in Lebanon – are taking shelter under an Iranian umbrella. GMJ, scheduled for March 30, 2012, is an anti-Israel publicity stunt that aims to have a million people marching on Israel’s borders from all the surrounding countries – Lebanon, Syria, Jordan and Egypt – with the aim of reaching Jerusalem. Concurrently, demonstrations are planned in the Palestinian-administrated [sic] territories and against Israel’s diplomatic missions in major cities throughout the world. Every imaginable anti-Israel individual and organization — Muslim, leftist, or just antisemitic — from the ANSWER coalition to the Reverend Jeremiah Wright, is supporting or taking part in this project, which could well mark the beginning of yet another Palestinian Intifada. Naturally, one of the major supporters is the Iranian regime. On yet another front, From May 2011 through February, 2012, Iran and its Hizballah proxy have attempted to carry out terrorist strikes against Israeli targets in various parts of the world, the most recent being the February 13th bombing of the car in which the wife of an Israeli representative in India was riding. Now imagine what will happen if that umbrella becomes nuclear. Imagine that behind these terrorist organizations stands a country that calls for our destruction and it is armed with nuclear weapons. Are you ready for this? I am not ready for this! And any responsible leader understands that we cannot let this happen – because of nuclear terror and the nuclear threat, but also because of the strengthening of conventional terror and the firing of missiles at us. In an interview on “60 minutes” this week, former Mossad head Meir Dagan repeats his contention that the consequences of a preemptive Israeli attack on Iran will be grave, and he argues that it is more difficult than many think. “There are dozens of sites,” he said. He indicates that he would much rather see an attack carried out by the US than by Israel. And he suggests that non-military options, like assisting opponents of the regime, should be emphasized. But he does not say that Iran should be allowed to become nuclear. That is not an option for him any more than it is for Netanyahu. While everyone would prefer that Iran give up its program peacefully, perhaps stopped by sanctions — which is simply not possible — or regime change, which is unlikely to occur in time and might not end the nuclear program in any event, this outcome is unlikely. So when the red line is crossed, Israel will have to act. 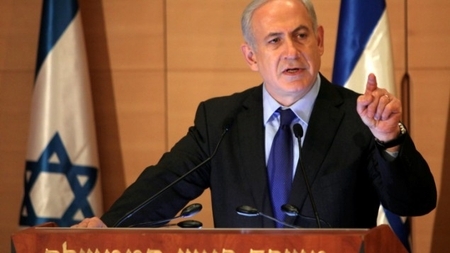 Nuclear weapons in the hands of Islamists is a danger to Israel. They live history. In their view, the Crusader invasion is a recent event, and as they see it, we, not to our credit, are also considered cursed Crusaders. They live this myth and are working to hasten the messiah – theirs. Give them nuclear weapons and they will use them. This is what they say. Whoever thinks this is simply “for internal propaganda purposes,” may he revel in his belief. But just as a reminder, a short while before the attack on the World Trade Center, an explicit threat was posted on al-Qaida’s Web page saying the organization was about to carry out an attack that would shock the world. Many actors on the world stage do not want to see Israel attack Iran. There is Iran itself, of course. There is President Obama, who doesn’t want anything upsetting to happen between now and November. There is J Street, with its mysterious funders, which once lobbied against sanctions on Iran and is now pulling out the stops to oppose military action. “Wait for sanctions to take effect,” they say today. Ideology is important. Islamist ideology (as well as traditional geopolitical ambition) is pushing Iran into war and pushing it toward nuclear weapons. But one cannot ignore the ideology of Israel’s leadership either, the ideology growing out of the historical experience of the Jewish people, that insists that threats against Israel must be taken seriously, and that the country cannot depend on anyone else to defend it. The war is ongoing, and anyone who does not expect escalation into more open conflict is dreaming. This entry was posted on Thursday, March 15th, 2012 at 2:19 pm and is filed under General. You can follow any responses to this entry through the RSS 2.0 feed. Both comments and pings are currently closed. ‘Iran’ is not the sole negative force operating to support the terrorists in Gaza. There have been reports of ‘Hamas’ aligning itself more closely with Egypt. As the Muslim Brotherhood strengthens its control in Egypt one can expect an even more supportive role for ‘Hamas’ there, and a possible break with Israel. Considering the proximity, size and kind of arms the Egyptians have this is extremely problematic for us. Iran is the Devil, but unfortunately there are more than one.